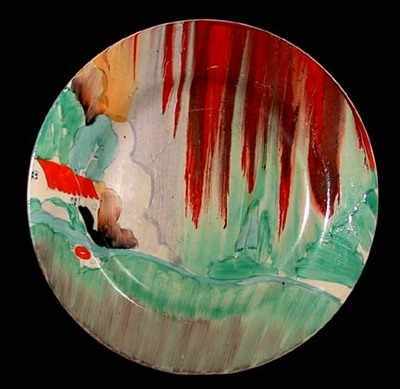 Large plate by Clarice Cliff in the Forest Glen pattern. 10 inches wide. Good condition with a very very minor invisible repair to the rim. Guaranteed genuine Art Deco from the mid 1930s. Backstamp signed "Bizarre by Clarice Cliff".